Late in 2013, the Government announced a short consultation on fees to be charged for using the civil courts. The Government’s argument is that, at a time or austerity, those who seek to use the courts – in particular to resolve high value disputes – should pay more towards to cost of so doing. deal with matters affecting families, from protecting children at risk of harm to making arrangements for couples who are separating. For many years, users have been charged fees to access the civil court system, which includes all civil, family and probate jurisdictions, as well as the Court of Protection and the Court of Appeal (Civil Division). 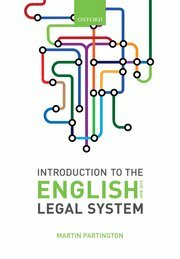 The power to charge fees in the civil court system of England and Wales is set out in a number of pieces of legislation, including the Courts Act 2003 and the Mental Capacity Act 2005. When setting fees in the civil court system, the Lord Chancellor is required to have regard to the principle that access to justice must not be denied. In recent years, the government’s policy has been to set fees on the basis of full cost recovery: that is, the use of fee income to recover the full cost of the court system, minus the cost of the remissions system (fee waivers). However, until now, the courts have been operating at less than full cost recovery, which has diverted resources from other areas of operations. It is critical that the courts are properly funded if they are to continue to provide access to justice whilst contributing to the ongoing development of a more efficient, modernised court service. At the same time, the government has made reducing the fiscal deficit a top priority, in order to set the economy on course for growth. Under the terms of its Spending Review settlement, the Ministry of Justice is required to reduce its annual spending by over £2.5 billion by 2014/15. The courts, and those who use them, must make a contribution to reducing public spending. Within this context, proposals for very significant rises in court fees were floated. Some have argued that a consequence would be that high value international cases will move to other jurisdictions where fees are less. Others have argued that the proposals will have significant human rights implications. Detailed policy announcements are anticipated later in 2014. Whatever the outcome, they will be very controversial.